It’s hard to know how to prioritize your financial goals. Personal finance is personal, so there isn’t one answer for everyone. It’s important to understand how to prioritize your financial goals and help you figure out what to focus on first. Should you start an emergency fund or save for retirement? Pay off debt or start investing? Everyone will give you different advice, and it can get confusing. You can’t do anything meaningful until you decide on some goals for the short term (this month), medium term (next 3-6 months) and long-term (1-2 years). What stage are you at in life and where do you want to be? Your financial goals can be buying a new home, saving for college, starting a family or creating an emergency fund. When you take this step, it’s important to think about both your short-term and long-term goals. Perhaps you want to plan a family vacation to Europe within the next five years. Or, you may wish to have enough of a buffer in your finances so that you and your significant other can afford to go out for a nice dinner every couple weeks. No matter your vision, be sure to create SMART goals. For example, how much should you have budgeted before you begin planning your trip? Or, how much money would you like to spend each time you go out to dinner? To that end, it is critical to tie real numbers to your goals. You should also have a feasible timeline for when you would like to accomplish each goal. It’s OK to be ambitious, but you should also avoid setting yourself up for failure by giving yourself far too little time to reach your goal. No matter what they are, it’s time to get ideas out of your head and make a list. Writing down your goals is critical. However, you should also make a habit of revisiting your goals and making sure you are on the right track. If so, remain consistent and do not let yourself get complacent. If you’re not currently on track, remember why you set your goals in the first place and find ways to get to where you want to be. Don’t be too hard on yourself — change is hard, and many people fail several times before they find the right formula for success. If you get off track, the best thing you can do is make some adjustments right away. Once you have figured out your goals, give priority to each of your personal goals in order of importance, and then determine how long you have to save for each of them. Remember to put your oxygen mask on first. Debt destruction is probably more important than kids college fund. Putting your retirement on track is more important than buying a new car. Debt is costing you money and will move you figure away from your goals. If it’s more than you can handle debt consolidation or refinancing could help you out of the hole. Having an emergency fund is so important. Unfortunately almost half of Americans couldn’t come up with $400 if an emergency came up. A good rule of thumb is having 3-4 months of your salary in a savings account and then contribute to an investment account like Betterment. Making more money can help you get to your goals faster. Not everyone has the time for side hustles so if you are looking to make some extra cash, every month then asks for a raise. Salary negotiation can be scary, but studies show that people who ask for a raise make more money than those who don’t. Asking for a raise can be difficult, especially if you do not consider yourself an assertive person. Be confident and prepared to make your case, and you may be surprised at just how willing your employer is to increasing your pay and putting you on greater footing as you strive for your financial goals. And, it may have the added benefit of allowing you to advance in your career more quickly than you originally thoughts. Ask after a big win. Timing can be important. If you’ve just closed a big sale, reached an important milestone or found a way to save your company money, leverage the opportunity to ask for a salary increase. Speak in person. This is not a conversation that should happen via email or text. Ask to speak with your supervisor in person and make sure you have plenty of time to discuss the matter. Be prepared. Write up some talking points that make the case for why you deserve a raise. Practice having the conversation with your boss before you schedule the meeting. Have ready a list of your accomplishments and the value you bring to the organization. Dress the part. Even if your office has a relaxed dress code, wear something a little nicer than normal when you speak to your supervisor about a potential raise. Be professional and polished—you will present yourself well and feel more confident. Be flexible. While a raise may not be possible at the moment, perhaps you can chart a course with your supervisor about some improvements you can make over the next couple months. At that point, perhaps a raise will be more feasible. If you are able to reach your financial goals, you will need to establish a budget and, even more importantly, stick to it over time. The best place to start is to outline all of your monthly expenses, including your rent or mortgage payments, bills, health insurance, food and other necessary costs. Include a category for savings and treat it just like any other expense in your life. This will help you remain accountable to your goals and ensure you place a priority on adding to your savings account every month, no matter the situation. In addition, look beyond your monthly expenses and think about bills that might be due on a quarterly or yearly basis. This may include things like property taxes, auto insurance and car repairs. To that end, you may benefit from setting up a spreadsheet in which you track your monthly income and expenses, along with with a separate sheet in which you account for non-regular expenses so you don’t forget about them. You should also consider using the 50/20/30 rule when it comes to budgeting. This rule states that no more than half of your income should go to necessary living expenses, such as groceries, utilities and housing. At least 20 percent should go to savings or a retirement account, while no more than 30 percent should go to miscellaneous, nonessential things like entertainment, going out to eat, shopping and gym memberships. You can also use the power of technology to help you stay true to your financial goals. Advisors often recommend taking a percentage of your monthly income and having it automatically move into a separate account—whether it’s a savings account, emergency fund or 401(k). This essentially takes it out of your hands. You’ll have an automatic process in place to help you remain on track as you work to save more money with each paycheck. Most banks and credit unions today provide this service free of charge. You can go online and set up an automated payment and/or transfer that takes the guesswork out of managing your budget. This comes with the added benefit of ensuring you never miss paying a bill, which may come with some hefty penalties that can easily derail your financial goals. Getting Things Done by David Allen has been a life saver for Andrew when it comes to prioritizing and completing tasks. 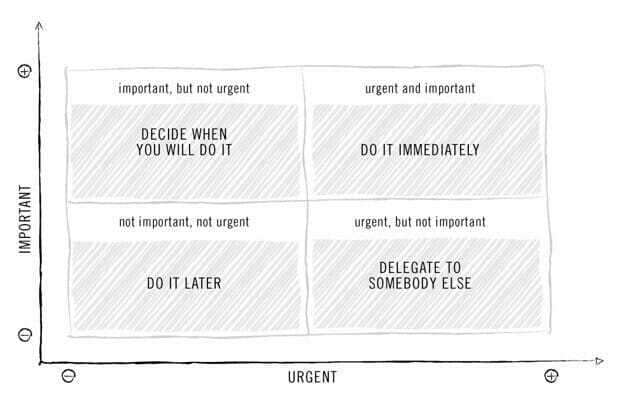 In the book, David uses a quadrant system to figure out what tasks are urgent and important. This is known as the Eisenhower Matrix, and it looks a little something like this. Your goal is to set yourself up to have a few “urgent” things as possible since they are rarely productive. Another good rule of thumb is if a task takes five minutes or less just do it – especially if it’s in the urgent box. This can be used for any sort of jobs but here are some personal finance examples. Urgent + Not Important: Finding a new job because you hate your current boss. Not Urgent + Important: Start contributing to your 401k that has to match. Not Urgent + Not Important: Come on now, we’re talking about money. Nothing should be here. Ok, maybe something like credit card churring can go here. David Allen suggests making a grid of your own, perhaps post-its on the wall. Start to think about why you have to do urgent things and what you can do to move them out of there. For example, set up auto payment on your credit cards or setting up emergency fund transfers out of your primary checking account. If you get stuck on something like picking stocks or funds for your investments, delegate to a robo-advisor. One big project at a time, give yourself a break. If you try and tackle it all at once, you will get overwhelmed. Small meaningful progress every day is where it’s at. Budgeting and related bi-monthly or monthly discussions with your significant other. More frequent the bigger your problem is. Constantly add and review your list of goals and progress on them, and then adjust where necessary. 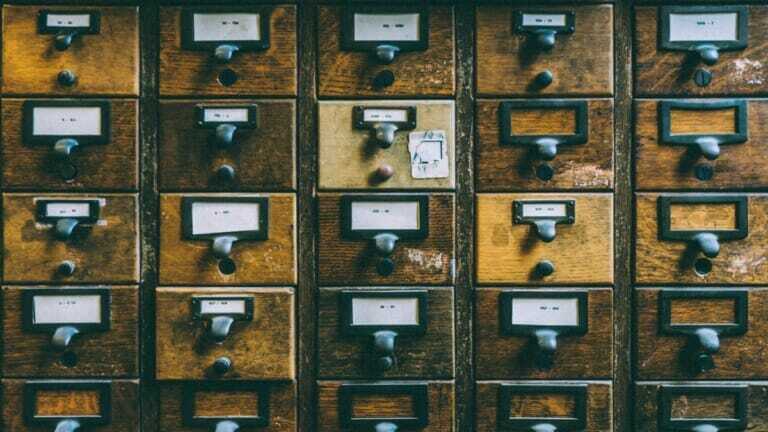 As you free up time and take care of some of the essential items, you will be able to take on larger and more advanced priorities, such as real estate investing. 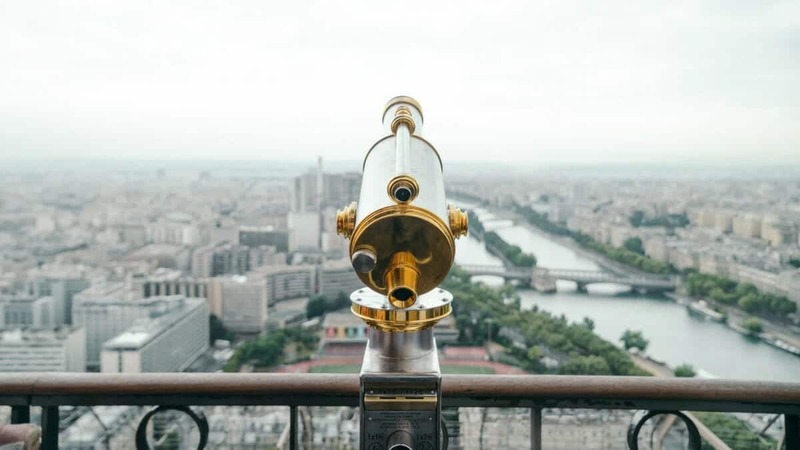 This is where you will be able to make some real money and put yourself on a more sustainable financial path, so be sure to keep your long-term financial goals top of mind as you take each step outlined above. Keep reading or listening to something money related to expanding your knowledge and grow your wealth.